So here I’ve collected up all of the songs on the site that would be perfect for encouraging kids to settle in to the new school year. 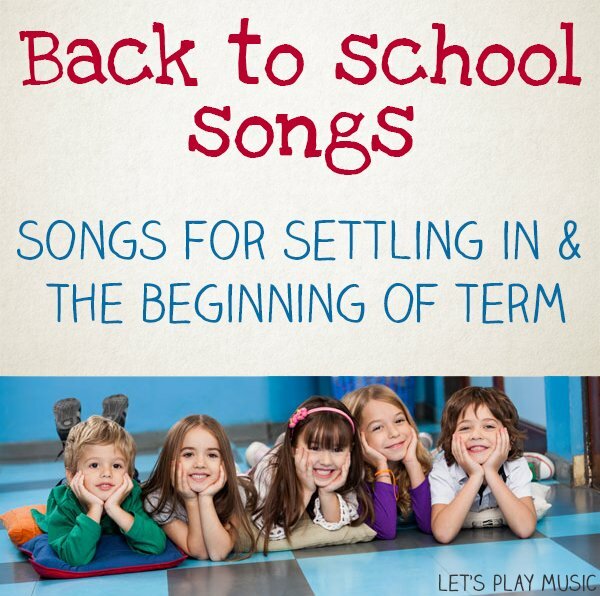 There are Back to School songs for all ages, whether they’re starting at nursery, preschool or reception/elementary. The holidays always have a nasty habit of flying by! Before long, our thoughts turn to the new term and the challenges ahead. For younger children or for new school starters it is so important to make them feel settled and in their new school environment. Back to School Songs for the new school year! Every preschool day should start with a hello song. The children love the repetition and it is a great way to get everyone in the right frame of mind for the day. Here are a number of different Hello Songs to help break the ice. 2. Preschool Calendar Time Songs And Chants. The school year is all about routine. 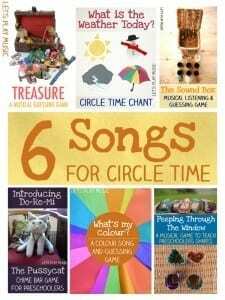 These calendar time songs are great for helping to teach the days of the week, the months of the year and all about the different seasons. Perfect for all year round, but great for the start of the year too. Circle Time is such an important part of the school day. It is also a great way for the children to get to know each other if the class is new. 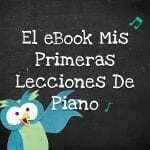 Here is a really useful group of songs that teach colours, shapes and weathers. It also includes the Treasure Song which is brilliant for building confidence. Little ones often have difficulty understanding and expressing their emotions. Sometimes going back to school can be a bit of an emotional time. 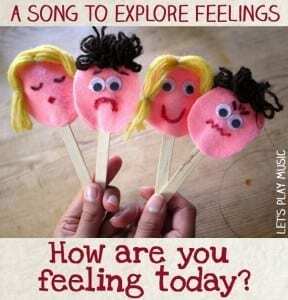 This song helps them to recognise and discuss their feelings, with a fun little craft too. Movement is such an important part of learning for small children. Here are some songs are invaluable in any classroom. They should be used whenever possible to engage the whole class and get the wiggles out! For teachers getting organised for back to school, you might find my new music lesson plan series useful. I hope that you enjoy these back to school songs. If there are any that you love to use at the beginning of term i’d love for you to share them in the comments section below. And this term we’re be offering a special discount, seasonal bundle of lesson plans for the Autumn/Fall term, 12 weeks of music lessons for the price of 10 in suggested weekly order to help save time and keep things simple.